Day trips include a licensed, experienced, professional guide, boat, and shuttle service, fishing instruction, terminal tackle such as flies, leaders & tippet, water, beverages, and snacks. Full day trips include lunch. We do not provide alcoholic beverages, however, you are welcome to bring your own, but please – no glass containers! We are happy to assist you in securing lodging in the Lincoln, Ovando, or Seeley Lake area. 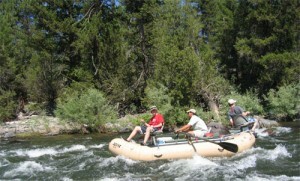 Options include hotels, B&B, guest ranch, rental cabins, RV parks and campgrounds. 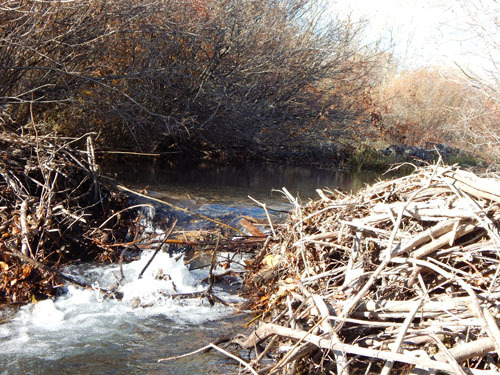 An additional $25 private land rod fee may apply on some waters. These trips are custom tailored to suit your expectations and criteria! Pricing is based upon many different factors, such as the specific location(s), party size, number of days and nights, level of service desired, etc. We also employ a sort of “sliding-scale” pricing on most trips with 4 or more guests. This means the rate per person per day is reduced each consecutive day. 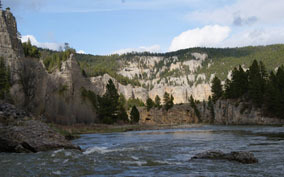 For example, a Blackfoot trip of 2 days and 1 night cost $462.50 per person per day. A 5 day and 4-night trip daily rate per person is $420. Please call or email for a price quote for the trip of your dreams! Set itinerary, many launch dates to choose from. Please call for availability and details. Smith Trips are conducted in cooperation with, and under Lewis and Clark National Forest Service Special Permit Holder – Outfitter Mike Geary, Lewis and Clark Expeditions. There are a very limited number of launch dates to choose from. Please call for availability and details. We try to accommodate “last minute” trips, but reservations should be made at least 30-60 days prior to your trip to ensure date and guide availability. Unless other arrangements are made, a deposit of 50% of your trip price is required upon booking (only 25% is required if reservation is made more than one year in advance, leaving the remaining 25% due eight months prior to your trip). The remaining balance is due upon your arrival. The deposit is non-refundable but may be transferred to another trip, date, or party, if redeemed within two years. Non-resident fishing licenses are $25 for a 2-day, $56 for a 10-day, and $86 for a full-season license. Call 406-362-3070 for prices and availability.